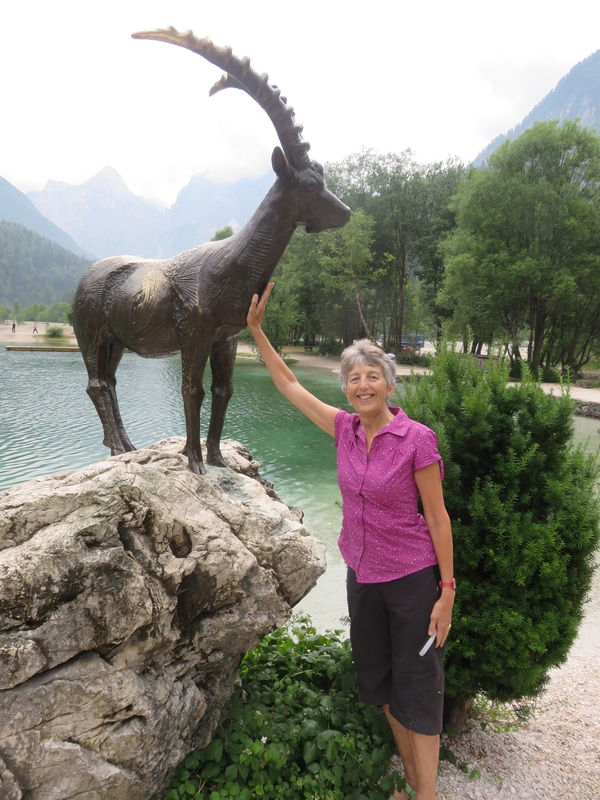 gold from the Zlatorog’s horns or bringing back a rose from the alpine high country. The hunter found and shot the Zlatorog but as its blood was falling to the snow, a beautiful Triglav rose bloomed and eating the petals revived the Zlatorog, who then sprang up and climbed higher into the mountains. The hunter following was blinded by the sun glinting on the golden horns, lost his footing and fell to the gorge below. The dead hunter finally was delivered to his bride, clutching the Triglav rose, via the Soca river when the snows melted in summer. The previously benevolent Zlatorog was so angry to have been treated like this by a mere mortal that he used his golden horns to gorge through the Triglav valley, leaving it as it is today, never to return again! 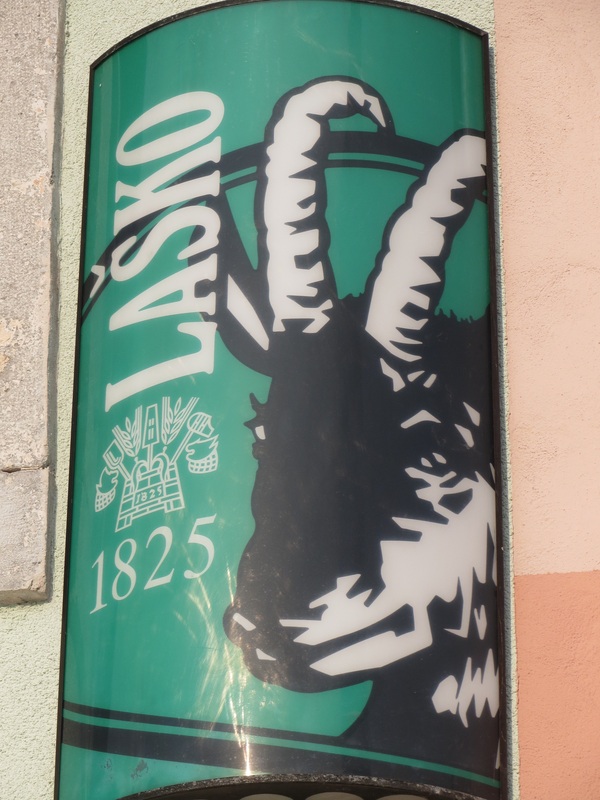 But the myth lives on in Slovenian Lasko beer, which tastes very good when combined with ‘ribe’ or fish, almost always trout. 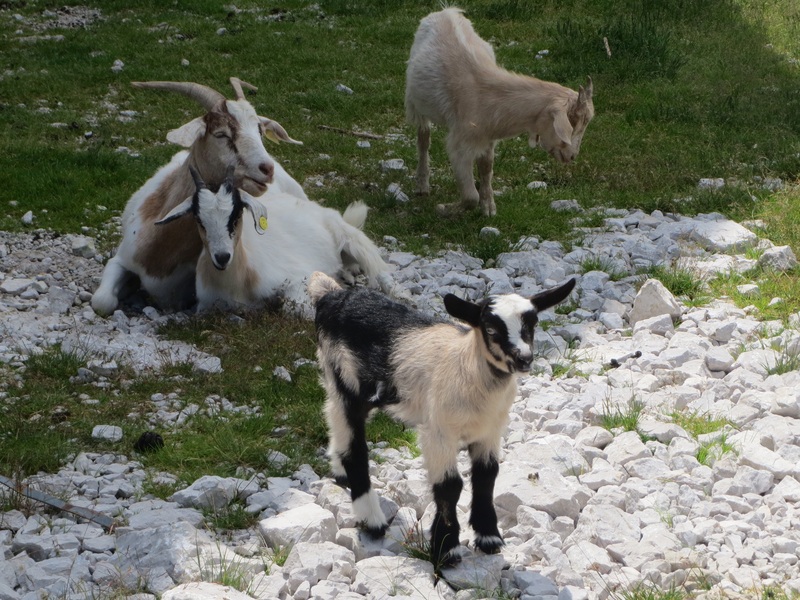 The Julian Alps which form part of the Triglav National Park are also renowned for their cheeses. 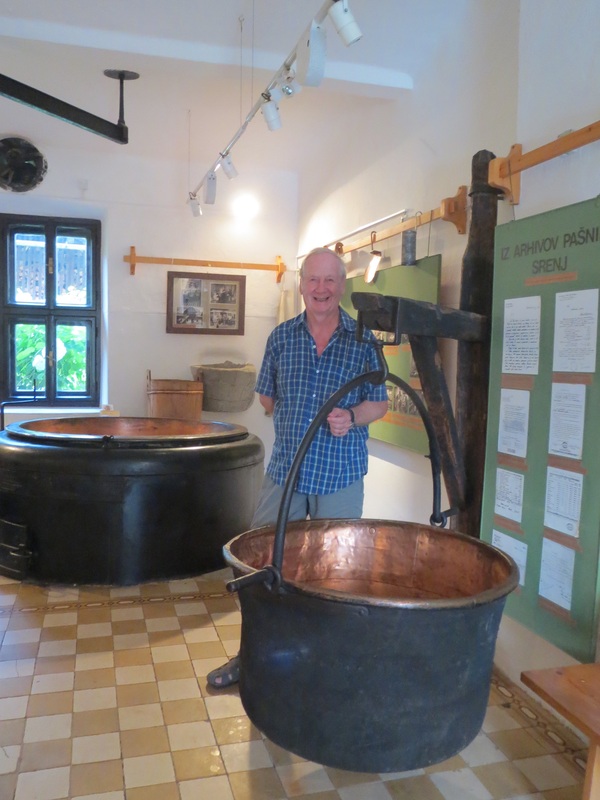 We visited a cheese making museum in a little village, called Stara Fuzina, where we learnt how hard life was being a dairymaid at the turn of the century! None of this fairytale stuff; each summer, young women would take the family cows to pasture at about 2000 metres, build a house to shelter them and their cows and make cheese into the bargain! The custodian of the museum encouraged us to go to the Saturday market in Bohinjska Bistrica to buy the local smelly cheese, Mohand. 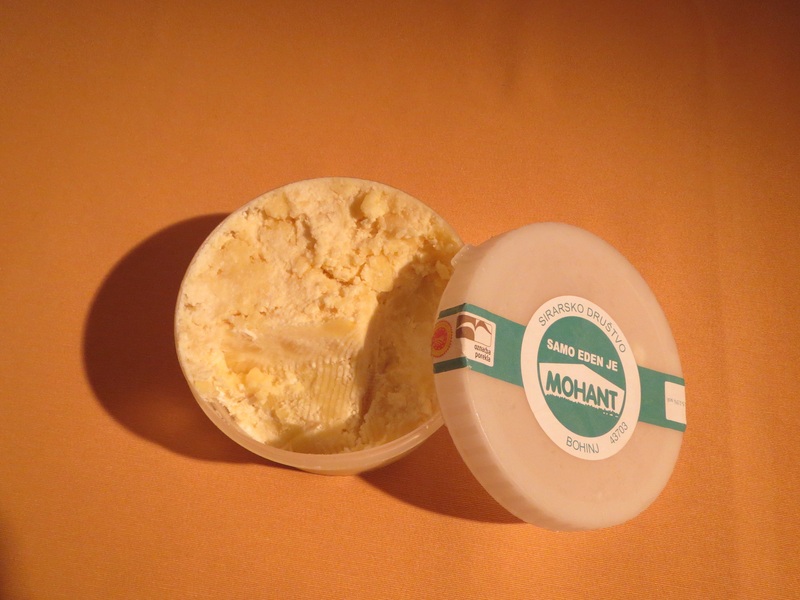 Mohand is reputed to have medicinal properties, including being a source of penicillin, and provided you consume a teaspoon/day, you will be as strong as an ox! We came away from the market armed with a pot of Mohant and some Prangarok another variety of ‘sir’ (cheese), all made by Monika – a modern day dairymaid – and some tips to take to our next cheese making course in Burringbar. The Triglav National Park is bordered by the Sava river in the north and the Soca river in the south. The highest peak is Mt Triglav, at 2864 metres. One arm of the Sava river, which we originally saw in Beograd emptying into the Duna or Danube, the Sava Bohinjska arises as the end of Lake Bohinj and spews out of the karst or limestone cliff as the Slap Savice or Savica Waterfall. The water is a glacial blue and plummets over huge limestone boulders, gouged out by the ancient glacier which formed the valley. 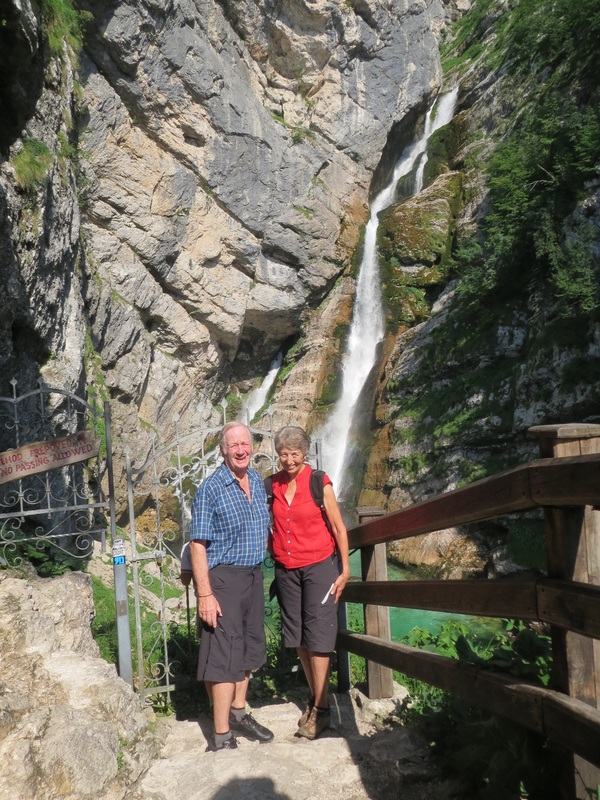 This water source was dammed in 1916 and a hydroelectric power plant was built by Austro-Hungarian army in the First World War, to supply the Isonzo front in Italy (more on that later!). The power plant is still active and provides green energy to the area, supplying the equivalent of 1.2 million tonnes of coal/year. It was hard to see the dam wall directly beneath the waterfall, as it was covered in green moss and the power plant seemed too small to be such a potent source of power supply. 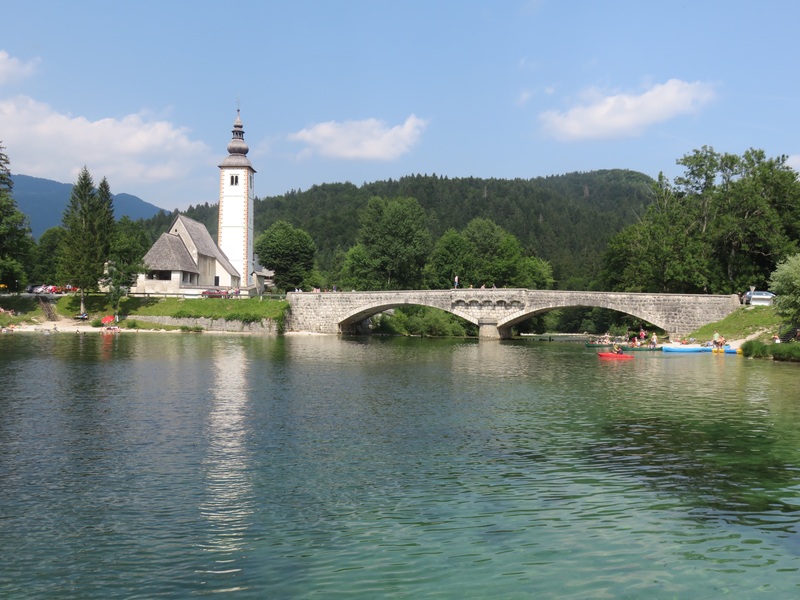 Lake Bohinj is beautiful, over 4000 metres long, fed by mountain springs and is surrounded by mountains on either side. Opposite the range which Mt Triglav dominates is Vogel, which at 1922 metres is still an active alpine pastureland and provides a route over to the Soca valley. 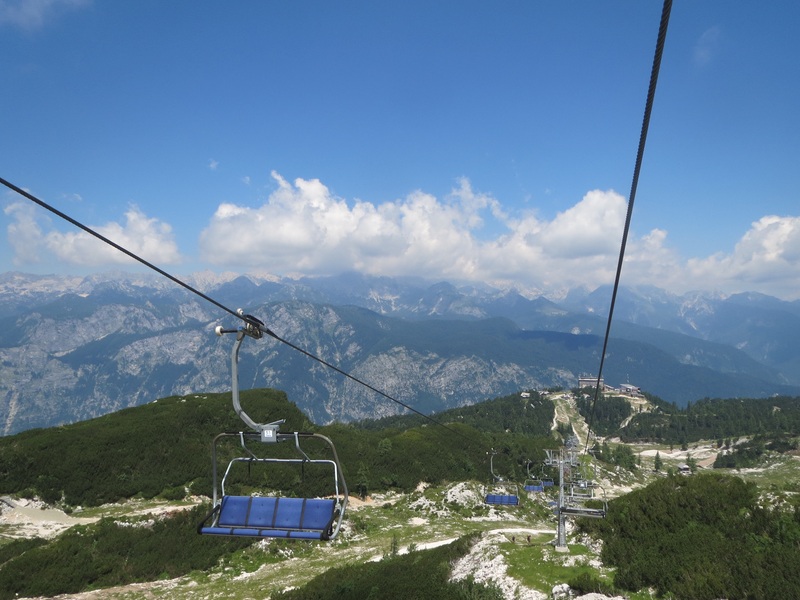 We took the Vogel Cable Car to 1535 metres and then the Orlove Glave ski lift a further 200 metres to the top of Sija, looking back towards Mt Triglav. In the winter this is a popular ski run but we only encountered hikers and mountain bikers, along with a paraglider and some rather docile goats. 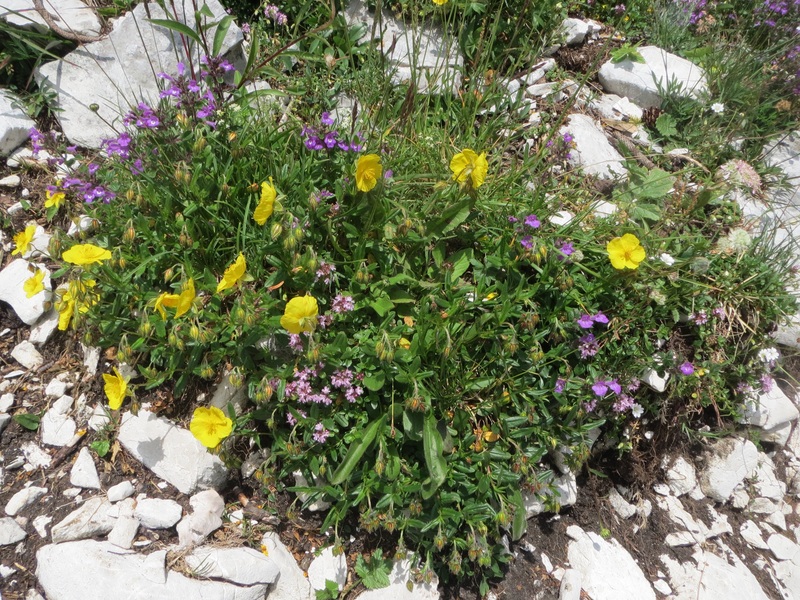 The alpine wildflowers were tiny, colourful and prolific, spiky rhododendrons, gentians and Campanella. The weekend we were there was crowded and hot. 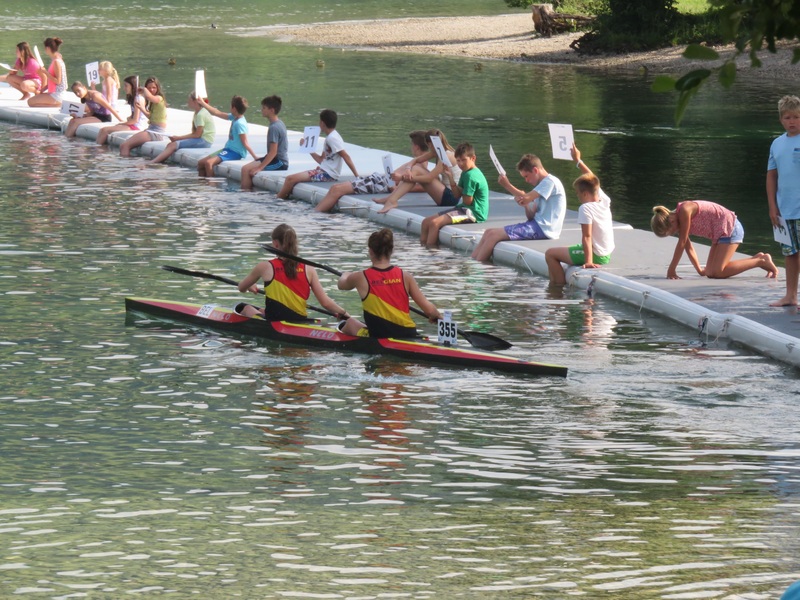 The European Canoe Marathon Junior and Masters championships were being held on the lake and we sampled the start of a race, hearing the race caller over the water all weekend. 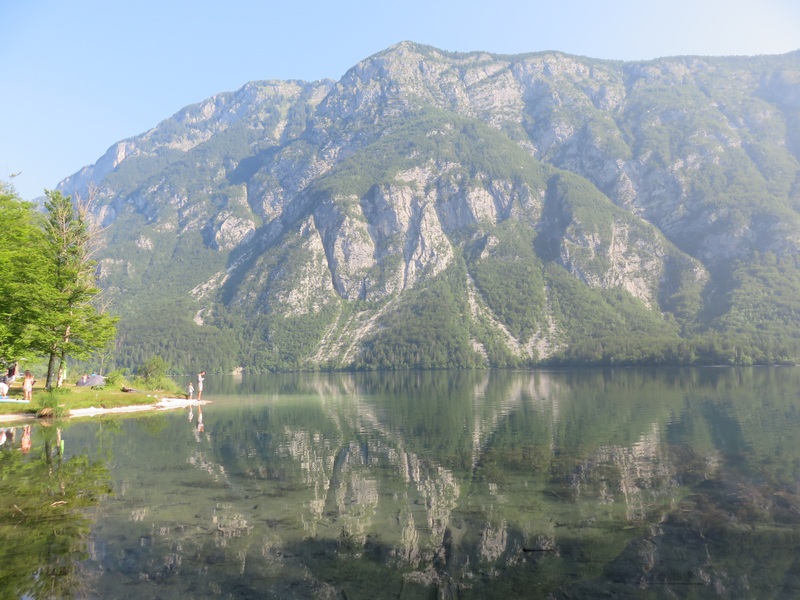 The temperatures were in the low to mid 30’s so we were often cooling off in the clear blue water of the lake or nearby Sava Bohinjska river. 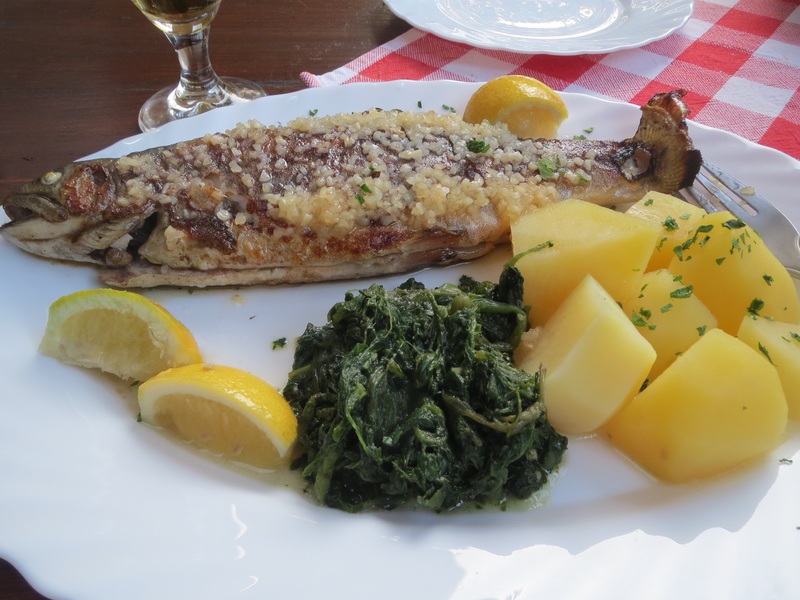 The trout were so plentiful you could almost scoop them up with your hands. On several nights, electrical storms flashed over the mountain tops and rain clouds rolled over the high range. In the mornings the mist hung over the valley, until the sun burnt it off once again. We left climbing up the southern route over the mountains to the Soca valley to the south, with a fantastic view of Mt Triglav just before the afternoon clouds moved across.